HOW DID IT TAKE ME SIX MONTHS TO READ THIS BOOK. I am obsessed with Colleen Hoover. She is one of my favorite authors of all-time, which is definitely saying something seeing as I have read A LOT of books. So the fact that it took me so long to read this book is mind-blowing. But let me tell you, it was AMAZING. Auburn Reed has moved to Dallas with a life plan that she intends to live out. What she doesn't plan for, though, is walking into Owen Gentry's art gallery and finding herself attracted to the mysterious artist. Auburn let's herself follow her heart, but Owen has some pretty big secrets that could make their relationship utterly impossible. Can Owen reveal his secrets without risking losing the only real thing he's ever had? Holy moly. Seriously, from the freaking prologue of this book, I was on the verge of tears. THE PROLOGUE. I knew that this book was going to steal my heart and Colleen definitely delivered. The relationships are just so perfect and you really feel the connection between Auburn and Owen. But Colleen has this way of making you absolutely love the main couple, only to make it pretty much impossible for them to be together. I was rooting for Owen and Auburn this whole book, but there were circumstances that made their relationship pretty much impossible and it broke my heart. They NEEDED to be together but couldn't but I didn't care because they just had to be together. Does that make sense? Not only was the relationship amazing, but there were so many secrets that drove you completely mad in this book, but in a good way. There are secrets that are hinted at and are slowly revealed as the plot moves forward. Colleen does this is a lot of her books and, while it drives me crazy, it makes me so addicted to the story and I can't put the book down. I had all of these theories and, of course, was only kind of right by the end of this book. Colleen knows how to reveal just enough to keep the reader in the story and begging for more. And I was definitely begging for more with Auburn and Owen's story! It was passionate, emotional, and even humorous at times. I had some laugh out loud moments and on the verge of tears moments. So many emotions in one book and I loved every second of it. I could go on and on about how amazing Colleen Hoover's writing is. Seriously, I have loved every book that woman has written and Confess has just been added to my favorites. Auburn was lovable and I enjoyed her character and Owen was just perfection. Seriously, can a guy be any more perfect?? What made this book, though, were definitely the confessions. They were so raw and perfect for what Auburn and Owen have gone through in their lives. I have never read anything like this book and if you plan on reading this, which you all should, get ready for some serious emotions and a new, adorable book boyfriend. I loved the prologue too, but wasn't really a fan of the book. 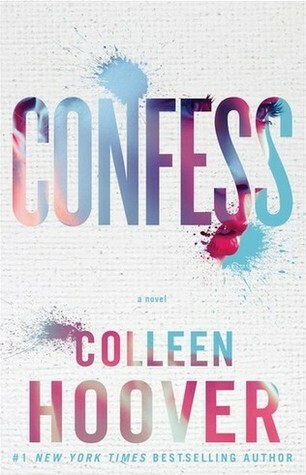 Confess was my first Coleen Hoover read, so I;m going to try another one of her books and see if I like it better. I love Colleen Hoover too! Maybe Someday made me want to crawl into a whole while I was reading it because there were so many feels! I have to read this ASAP!! Thanks for the review. I now have a purpose this weekend.